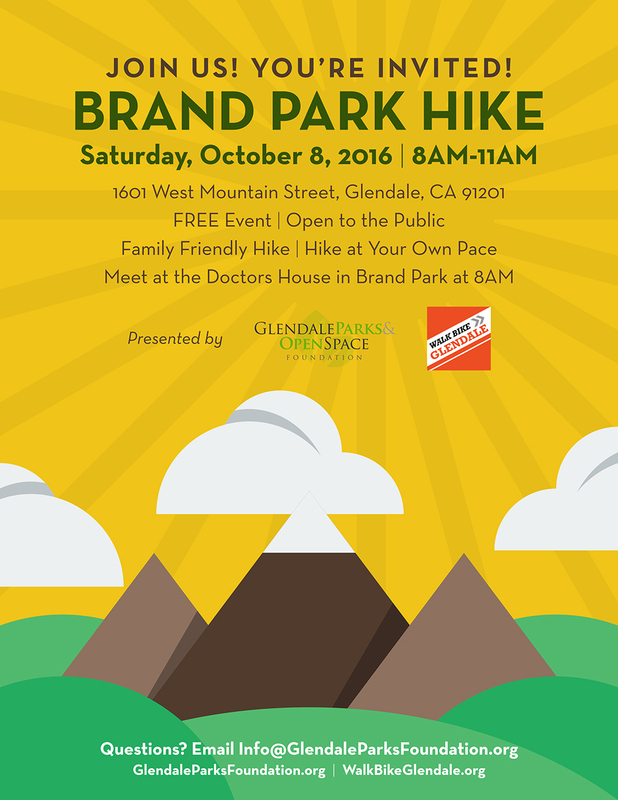 Join us on Saturday, October 8, 2016 from 8AM to 11AM for our Brand Park Hike co-hosted by the Glendale Parks & Open Space Foundation and Walk Bike Glendale! The event is FREE and open to the public. The hike will be family friendly and you will be able to hike at your own pace. Meet at the Doctors House in Brand Park at 8AM. Click here to RSVP for the event on Facebook!